At last night’s Wellington Scoop Mayoral Candidates forum, I asked each candidate, given that we didn’t yet know what options would emerge from the Let’s Get Welly Moving process, whether they would pledge not to support or vote for a flyover at or near the Basin Reserve. Justin Lester, Helene Ritchie, and Johnny Overton all gave a firm “no” to a flyover at the Basin. Nick Leggett still supports a Basin Reserve flyover, and stated that he was proud to have supported the previous, failed flyover proposal “because it was funded”. His position appeared to be that Wellington should agree with whatever the Government was prepared to fund. Jo Coughlan, Nicola Young, Keith Johnson and Andy Foster all said, with varying emphases, that a flyover was unlikely, or that there were better options, but didn’t give an absolute “no” to a flyover. Save the Basin has also surveyed Mayoral and other candidates on their views of the future of the Basin Reserve and related issues. The deadline for responses to that survey is Friday, and we’ll be letting you know the results early next week. But for now, the answers given last night may assist you in deciding which Mayoral candidates to support. Wellington Scoop, who did an excellent job of organising and hosting the forum, has put up a full report – it’s well worth reading! Wellington Journalists Ask: Can Former Flyover Fans Be Trusted To Evaluate Basin Flyover Alternatives? At yesterday’s regional council meeting, three councillors sought an integrated approach to deciding on at-grade roading improvements around the Basin. Paul Bruce and Sue Kedgley were supported by Barbara Donaldson. But Paul Swain refused. He said that a small governance group of himself, Fran Wilde, Celia Wade Brown and Andy Foster, plus two Transport Agency staffers, would make the decision, and would then report back. In a comment on this article, Councillor Helene Ritchie christened this group the “Secret Six”. This group subsequently promised to work with the community, but there remain concerns about how well this work will in practice given the composition of that group, and whether they will be prepared to take a fresh and unbiased look at non-flyover options they had previously rejected out of hand. It’s like getting the Keep Our Old Flag Society to design a new flag. Will this group report back with recommendations that are the urban design equivalent of three boring silver ferns and a koru that looks like a cow doing number twos? Wellington Scoop has dug further into the track record of the members of this “governance group”, and what it has found does not inspire confidence. No doubt there’s no way of excluding Transport Agency representatives from the next round of road planning for the Basin. But the Agency should consider its past bad behaviour and find some new faces who have the ability to listen, rather than to threaten or dictate or just misrepresent. Some critics say that BRREO is only a short-term solution. Even if that is true, wouldn’t it be worth giving it a go? If it works, keep it; if it doesn’t, start digging for a longer-term alternative. When you look at the time and money already been wasted by myopic officials intent on a flyover, BRREO and Option X deserve some serious consideration, not just by sore losers. What’s more, Wellington transport needs much more than a rethink at the Basin. FIT Wellington and Generation Zero have made a valuable and timely contribution to this debate with their revamped light rail (modern trams) proposal for Wellington, released last week. The New Zealand Transport Agency has decided not to seek leave to appeal the High Court decision which upheld the Board of Inquiry decision to decline resource consent for a Basin Reserve flyover. Ms Chetwynd said that the High Court ruling means this project will not proceed as the Transport Agency does not have the required approvals. 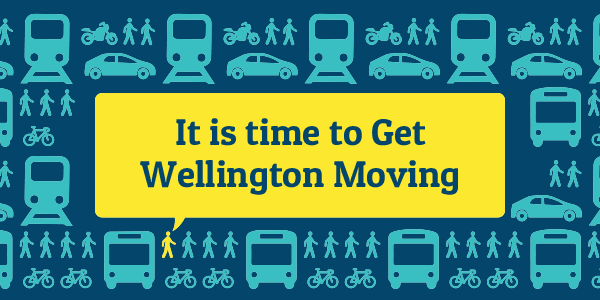 She says the Agency is committed to working together with the community and local councils, particularly Wellington City Council and Greater Wellington Regional Council, to spark new conversations and ideas about the best way forward for delivering vital transport improvements for the Capital. Who will be part of these conversations, and whose voices will be heard? It’s important that, this time, community voices and sustainable transport alternatives are to the fore. Save the Basin’s press statement in reaction to NZTA’s announcement is below. The Save the Basin Campaign today said that it was pleased that the New Zealand Transport Agency (NZTA) has decided not to seek leave from the Supreme Court to appeal the High Court decision on its proposed Basin Reserve flyover.